Acworth, Ga.- The world's top professional wakeboarders opened the 22nd season of the MasterCraft Pro Wakeboard Tour in grand fashion today at Lake Acworth Beach. Taking to the water at Cauble Park, the season-opening day featured remarkable performances from a slew of athletes across all three divisions including last year's Pro Men's season champion Harley Clifford. It's great to start another season of the MasterCraft Pro Wakeboard Tour here in Acworth , said Chris Bischoff, competition director. The city is great to work with, the venue is a favorite among the athletes and the conditions on the lake today, matched with the perfect wake from the X-Star, things were firing on all cylinderse . The Pro Women also showed up in Acworth in top form. Leading the charge were Nicola Butler and Raimi Merritt, who both put in scores of 73.33 to tie for the day's best among the females. The sport's all-time winningest woman, Dallas Friday, also dropped a stellar score of 71.33 and will be among the six finalists tomorrow. Wakeboarding's future stars in the Overton's Junior Pro Series competed at today's event as well. Poised to have a huge year, Aussie-ripper Tony Iacconi had a perfect run posting the day's only 100-point ride. The Junior Pro Men will commence competition again tomorrow with the semifinals elimination round followed by the finals. Following the final rounds of action on Saturday, fans can stay for the jaw-dropping Polaroid Action Big-Air Contest. The event will feature top athletes performing exciting and innovative new tricks that aren't typically attempted in a traditional contest setting. Immediately following the event, a Block Party will be held in Historic Downtown Acworth that will feature an awards ceremony, live music, outdoor dining opportunities, and much more. The Block Party will run from 7:00 p.m. to 11:00 p.m. Parking will be available in Historic Downtown Acworth and shuttles will be running from various locations to bring visitors down to the party. Tickets for Saturday's finals are available online for $7 (46% off the gate price) and include an exclusive Overton's discount code for online buyers only. Gate prices are: $13 (adult); $5 (ages 6-12); free (ages 5 and under). 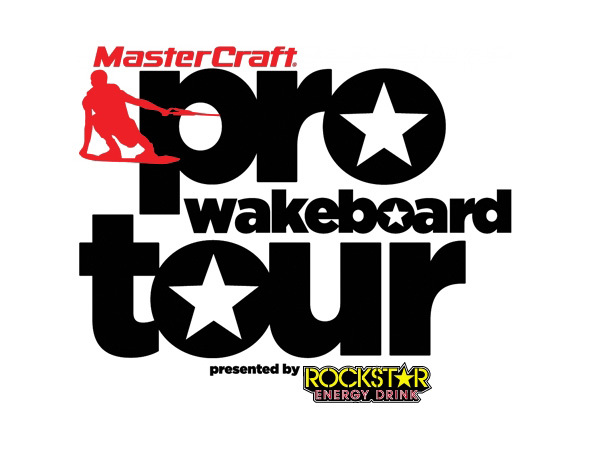 For information on the MasterCraft Pro Wakeboard Tour presented by Rockstar Energy Drink, visit www.kingofwake.com. The MasterCraft Pro Wakeboard Tour, presented by ROCKSTAR is organized by World Sports & Marketing of Orlando, Fla., and has the support of the following sponsors: MasterCraft, Rockstar Energy Drink, Overton's, Polaroid Action, Indmar, Peavey, Billabong, Hyperlite, CWB, Ronix, Liquid Force, Byerly, Oakley, Sayiwon't, Epiphone and TransWorld WAKEBOARDING magazine. MasterCraft is the exclusive towboat for the Pro Wakeboard Tour, as it has been since the tour's wakeboarding events began in 1992. The King of Wake is the world's elite pro wakeboarding series, attracting the sport's top athletes from throughout the globe. Over the course of a season, athletes compete for the ultimate wakeboarding crown in a series points race of eight events throughout the United States to see who rules the wake. The 2013 series consists of all five stops on the MasterCraft Pro Wakeboard Tour, the Nautique Wake Games, the Nautique WWA National Championships and the Rockstar WWA World Championships Presented by Supra. The King of Wake is organized by World Sports & Marketing â€“ the leading wake-events producer since 1988. Rockstar Energy Drink is designed for those who lead active lifestyles â€“ from Athletes to Rockstars. Available in over 20 flavors at convenience and grocery outlets in over 30 countries, Rockstar supports the Rockstar lifestyle across the globe through Action Sports, Motor Sports, and Live Music. New from Rockstar for 2013, Rockstar Energy Water is a non-carbonated and sugar free enhanced water beverage that is now available throughout the U.S. in three refreshing flavors. For more information visit: www.RockstarEnergy.com. Overton's began selling water skis in the mid-1970s. Over the years, we've built our reputation by offering quality products at the best prices found anywhere. Today you can look to Overton's to provide the highest-quality products for all your boating needs. Our company has grown from its humble beginnings in the back of a grocery store in Greenville, North Carolina, to the "World's Largest Water Sports Dealer". Widely recognized and respected in the industry, Overton's catalog and website provide consumers with the widest selection of boating accessories and water-sports equipment out there. Our acquisition by Gander Mountain in December 2007 assured continued growth, allowing us to expand our offerings and have our products available in Gander's 114 retail stores throughout the United States. TransWorld WAKEBOARDING magazine is the leader in wake-sports media by delivering the best instruction, latest product reviews, insider knowledge and the finest photography.